Environmental Regulatory Compliance: Who Is Responsible For Leaking Transformer? Electric transformers are found at almost every larger commercial, institutional and industrial facility. Sometimes this equipment is owned by the facility owner and sometimes by the power company. For some facilities, it is not always clearly understood who owns and is responsible for transformers. 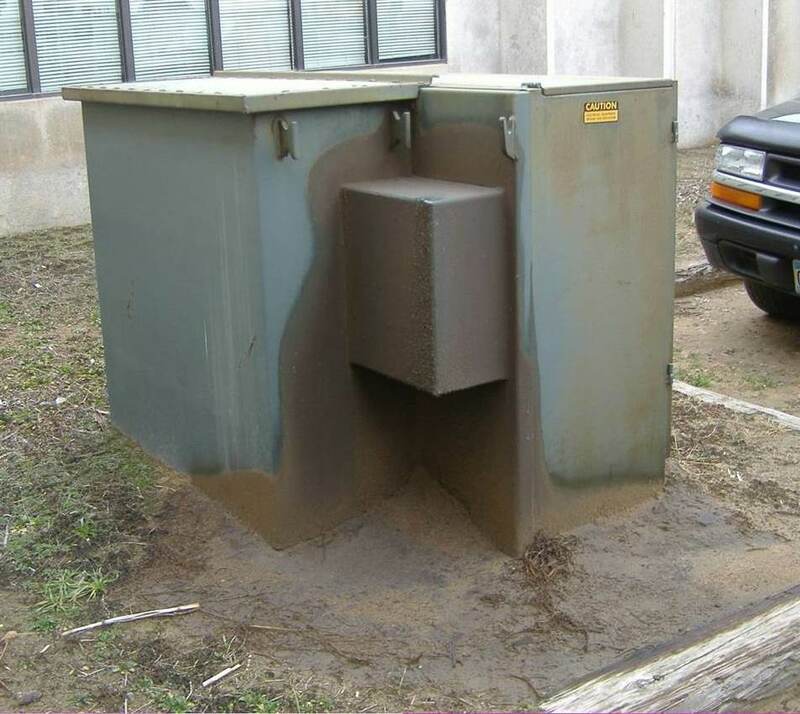 Can Electric Transformers Leak Oil? Yes, electric transformers can leak oil, but only if they actually contain oil. How Can I Tell If Electric Transformer Contains Oil? Who Is Responsible To Clean Up Leaks From Transformers? This will depend on State laws. In general, the Owner of the equipment is responsible. However, for a property owner whose property has been impacted by a leaking transformer, the issue could affect the value of the property and they may voluntarily elect to clean up leaks. What Are The Environmental Risks For Electric Transformers? A risk for oil spills exists for any oil-filled transformer. Older transformers commonly contained PCB oils. Use of PCB oils has been phased out and newer equipment is often labeled "No PBC"; however older electric transformers could still contain PCBs which makes clean up more involved. Leaks can occur over long periods and accumulate slowly. The other risk is an emergency spill caused by a fire or the transformer being damaged by vehicles, etc. These risks are minimized by ensuring equipment is included in pollution prevention plans and spill plans (such as SWPPP, SPCC Plan or other spill plans) and is regularly inspected and maintained.